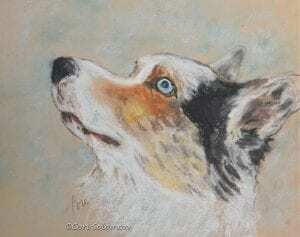 Pastel drawing profiling a Welsh Cardigan Corgi. The intensity of of this Corgi’s blue eye draws you in. This artwork is matted.